Why: Jessica has not drawn for several years, but in the midst of an exciting life change rediscovered her artistic passion, “My inspiration was a b/w picture of Chris Evans as Cap. I looked at it and somehow remembered how to draw. 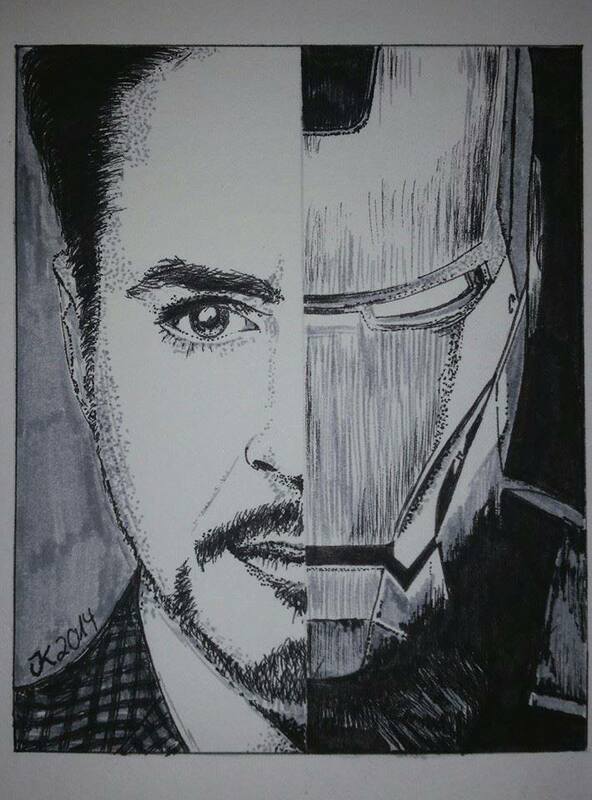 Tony Stark/Iron Man started as a test for a new-bought marker. Amazing drawing, and very talented artist! !